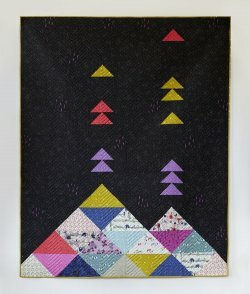 Have you ever seen a volcano quilt? 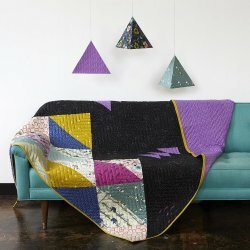 This quilt is unique and fun, and easy to make! If you can cut a half square triangle, you can make this fun quilt. It is made up of six vertical rows of pieced blocks which are made from half square triangle blocks. This quilt is created using Cotton and Steel's Honeymoon collection.